Pre-fall has become an increasingly important season for luxury houses: you only have to look at the recent round of high-profile presentations for evidence. In New York, Chanel took over the 2,000-year-old Temple of Dendur in the city’s Metropolitan Museum of Art for its Metiers D’Arts 2019 show, while in Tokyo, Kim Jones debuted Dior Men’s very first pre-fall collection in a blockbuster show staged under an enormous sculpture of a robot. Alongside the AnOther alumni, the cast features acclaimed musicians and Oscar-winning actresses, from singer Kelela to actresses Alicia Vikander, Jennifer Connelly and Thandie Newton. Here, they were captured by photographer Collier Schorr and styled by Ghesquière’s longtime collaborator Marie-Amélie Sauvé, who selected each look according to the women’s various personalities. 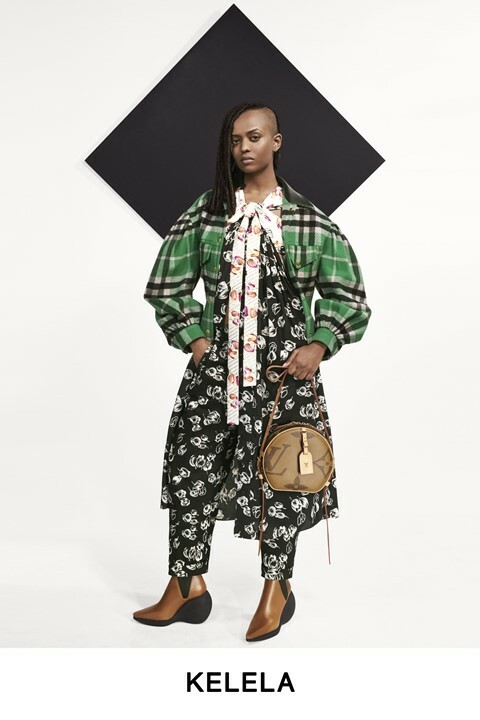 The lookbook also includes rising star Indya Moore, a transgender actress who won acclaim for her role in Pose, which was nominated for two Golden Globes at this month’s ceremony (Moore wore a Spring/Summer 2019 gown from Louis Vuitton on the night). Other new faces include BlacKkKlansman actress Laura Harrier, Zhong Chuxi, who was the star of Chinese movie Youth, and Australian actress Samara Weaving, star of the television adaptation of Picnic at Hanging Rock.